Author: "GRANDPA JUNG’S LESSONS, for a slow reader", eBook memoir, self-published on Amazon, fall of 2016; Of Mice And Mills, paperback and e-book self-published on Amazon, Summer 2018. Producer, Director: Series of adult storytelling performance at Mercer Museum in Doylestown, Pa. 2013, 2014, 2015. 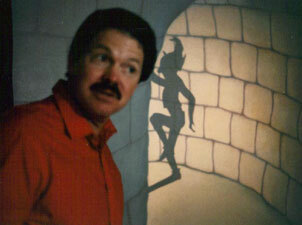 Producer, Writer, Performer: "Dancing With Daemons", 20014. 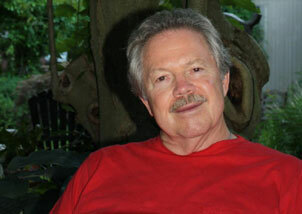 Producer, Writer, Performer: "Imagining the World of Carl Jung", 2007-2014. Performer, Presenter: 2006 National Storytelling Conference. Performed in concert with Rogues & Raconteurs. Organized and presented the Video Room at the Conference, a look at storytelling in video and film. Performer, Writer: Summer of 2005 told stories at Franklin Court in Independence National Historical Park in Philadelphia. As part of the ONCE UPON A NATION Project. Specialized in telling stories of Benjamin Franklin. Producer, Performer: CD of fairytales, "One Stop Past Nowhere", reviewed by ALA Booklist Magazine, "good choice for introducing classroom lessons on the benefits of infusing stories with a good dose of imagination", July 2005. Producer, Director, documentary film, "Brothers In Word", aired PBS network in Pa. 2002, Reel to Reel Film Festival, 2001, Algonquin Film Festival, 2005. Coordinator: Patchwork Storytelling Guild, coaching Group, 2000-2010. Producer, Writer: "The Art of Oral Storytelling", two half-hour documentaries produced by Closely Watched Films, funded by PA Council On The Arts, aired on Comcast Television Network, 1998-99. Featured Performer: National Storytelling Conference, 1996. Author of Children’s Book: "The Christmas Snowman", published in 1996. President: Patchwork, Philadelphia Storytelling Guild, 1995-96. Co-Founder of Mid-Atlantic StoryTellers Conference: 1990. Featured Storyteller and Host: Series of cable television programs on Philadelphia storytellers, sponsored by PA Council On The Arts, 1989. Artist-in-Residence: PA Council on the Arts, 1987-1997. 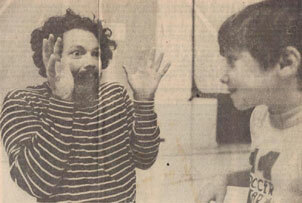 Performer, Producer, Writer: Series of radio programs, "Tattletales: Stories of a One-Room School", funded by PA Humanities Council, aired public radio WITF, Harrisburg, Pa., 1985. 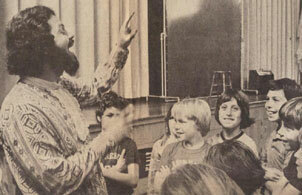 First Storytelling Performance: Pre-school story time, Yardley, Pa. Library, 1970. Masters of Theology, Princeton Theological Seminary, 1970. B.A. (Anthropology) Temple University, 1967. Peace Corps (Dominican Republic) 1962-64.